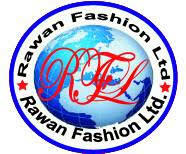 Rawan Fashion ltd is one of the leading Garment Manufacturers at Gazipur –Bangladesh .It exports Readymade garments products in Al-dawaser-Area-King Faisal St -NO .14, Dammam-Saudi Arabia and also different European & American countries.It was established on 9 December, 2009. With the highly efficient production of quality and fashionable garment product, our average turnover reaches USD2 million a year. In recent years, our turnover also showed an average growth of 10% yearly This proves that the company's manufacturing operations are among the most cost-efficient and technologically advanced practitioner in apparel industry. Current Jobs in Rawan Fashion Ltd.